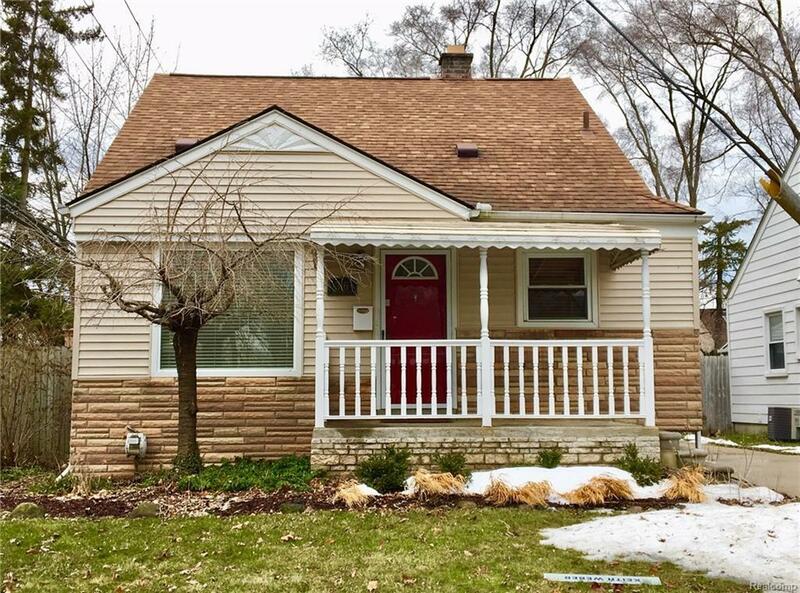 Enjoy life in this beautiful Royal Oak Bungalow! Packed with features and updates- richly refinished oak floors, vintage mid-century ceramic tiled full bath, fresh, neutral paint and décor. Renovated kitchen with tons of storage, Undermount stainless steel sink, and all appliances. The formal dining room is a peaceful retreat to eat and enjoy. Relax on the front sitting porch or the large deck which adjoins the second bedroom through French doors. The lower level is finished, there is a two car garage, windows replaced '02, A/C in '09, siding '08, roof '05. Close to both downtown and freeway connections. This is a great blend of features, condition, and location. Make home here.